Pianist Arkadi Zenziper delivers a compelling performance of "Piano Concerto No. 2 in C Minor, Op. 18" in this video, which finds him accompanied by the St. Petersburg State Orchestra under the direction of Vladislav Tchernushenko. In this concert appearance, Tchernushenko also conducts the orchestra in a rendition of "Symphony No. 5 in E minor, op. 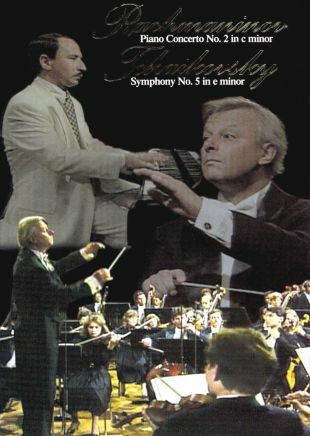 64" by Tchaikovsky.